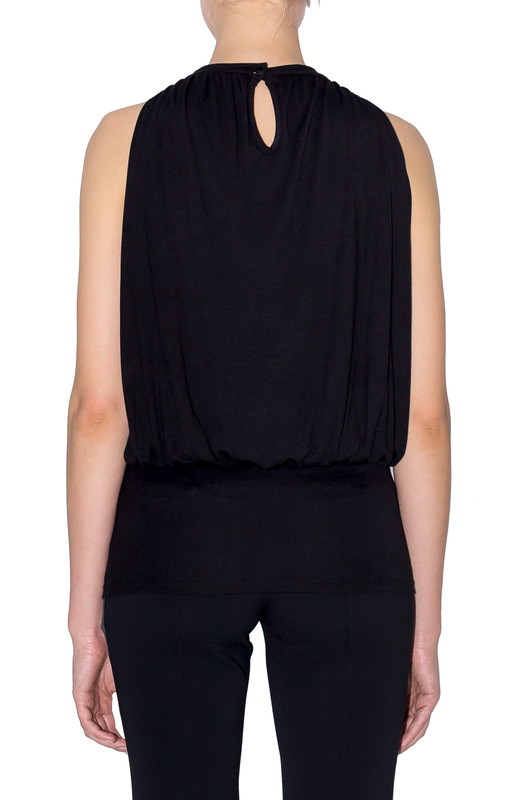 A gorgeous black tank top in jersey, very well cut and particularly comfortable to wear. It closes at the neck by a small button discreet, tone on tone. A whole job of pleats like couture, fabric in double to be perfectly opaque. Its wide belt allows you to wear it in the pants as well as above for an always sophisticated outfit.